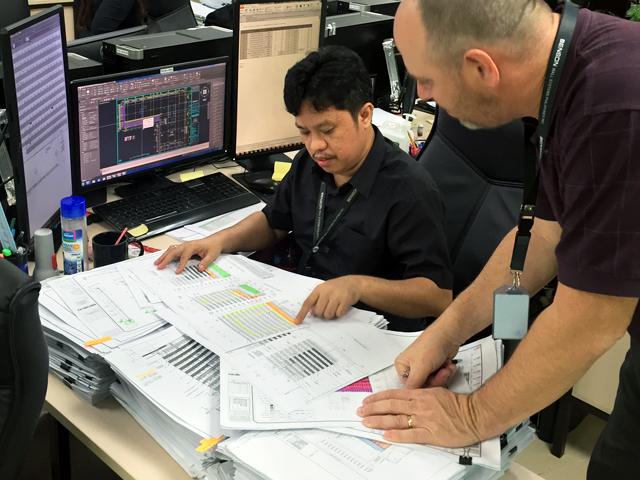 As a fully integrated contractor of bespoke facades and unitized curtain wall systems, Benson guides and manages the project from concept through design engineering, testing, manufacturing, and installation. As a fully integrated contractor of bespoke facades and unitized curtainwall systems, Benson guides and manages the project from concept through design engineering, testing, manufacturing, and installation. Benson’s experienced, professional team of project managers and coordinators oversee all phases and scope of work once a contract is finalized. Scheduling and project critical path planning. Review of details with key aluminum extrusion suppliers. Procurement input and supply chain management. On site logistics including potential hoist and leave-out areas, material stocking programs, building topography or phasing constraints. Review potential use of cranes, monorails, gantries, and other equipment and its impact on modules, panel height, etc. Coordination with Benson manufacturing plants. Monitoring of supply chain progress and verification of quality control including in-plant visits. Cost and value engineering evaluation of design progress and changes from earlier iterations and ideas. Site management of field crews.